After failing to sign a defender in the summer, Man Utd boss Jose Mourinho could reportedly get his wish in January with a £100m transfer kitty. As noted by The Independent, the Portuguese tactician was seemingly desperate to address that area of his squad this past summer, but ultimately the club failed to deliver him a new signing. SEE MORE: Watch Lazio vs Inter online or on TV, expect a Serie A thriller tonight! While it could have been argued that he has countless options at his disposal already with the likes of Chris Smalling, Eric Bailly, Phil Jones and Victor Lindelof, United’s defensive record so far this season would suggest that he had a point and that they are ultimately not good enough. The Red Devils have conceded a whopping 17 goals in just 10 Premier League games, giving them the fifth worst defensive record in the English top flight. With that in mind, it would come as no surprise if Mourinho still wishes to sort out the backline in the New Year, and according to The Sun, he could get the backing of the hierarchy to splash out a staggering £100m on Real Madrid defender Raphael Varane. The United boss knows the Frenchman well after previously working with him at the Bernabeu, and the 25-year-old has certainly gone on to have an impressive career thus far both for club and country. Nevertheless, £100m is a lot of money for a centre-half, and so it will potentially raise question marks over whether or not it’s sensible business from Man Utd’s perspective in blowing their January budget on one player. 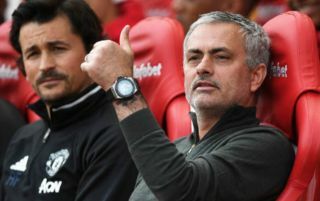 Given the problems detailed above with the United defence though, it seems like a move that would certainly help them. Time will tell if they can even prise Varane away from the Spanish capital though, as beyond Sergio Ramos, the reigning European champions also have a glaring lack of world-class depth in that department.